Can an Ear Infection Cause Long-Term Hearing Loss? What is usually labeled as an ear infection, is medically called otitis media or AOM. Ear infections are especially prevalent after a cold or sinus infection and they not only affect children but adults as well. If you have a bad tooth, that can also result in an ear infection. If you get an infection in the middle ear you will most likely have at least some loss of hearing, but how long will it last? The answer to this question might be more challenging than you may think. Ear infections have a lot going on. You should understand how the damage caused by ear infections can have an impact on your hearing. Otitis Media, What is it? Otitis media is an infection of the middle ear basically. It could be any type of microorganism causing the infection however bacteria is the most common. It’s what part of the ear that the infection happens in that defines it. The outer ear, which is medically known as the pinna, is where swimmer’s ear develops, which is called otitis externa. If the bacterial growth occurs in the cochlea, the medical term is labyrinthitis or inner ear infection. The space in front of the cochlea but behind the eardrum is called the middle ear. The membranes of the inner ear are vibrated by three tiny bones called ossicles which are housed in this area. An infection in this area tends to be very painful because it puts pressure on the eardrum, usually until it actually breaks. Your failure to hear very well is also because of this pressure. The infectious material builds up and blocks the ear canal enough to interfere with the movement of sound waves. Over time, hearing will return for the majority of people. The ear canal will open back up and hearing will return. The infection gets better and your hearing returns. Sometimes there are complications, though. Ear infections affect most people at least once in their life. The issues can become chronic for some people and they will keep having ear infections. Chronic ear infections can lead to complications that mean a more significant and maybe even permanent loss of hearing, especially if the problem is left untreated. Conductive hearing loss can be caused by chronic ear infections. When this happens, the sound waves going to the inner ear are not loud enough. The ear has components along the canal that amplify the sound wave so that when it gets to the tiny hair cells of the inner ear, it is intense enough to cause a vibration. Sometimes things change along this route and the sound is not effectively amplified. This is called conductive hearing loss. When you have an ear infection, bacteria are not just sitting in your ear doing nothing. The components that amplify sound waves are broken down and eaten by the bacteria. The damage is in most cases done to the tiny little bones and the eardrum. It doesn’t take very much to break down these delicate bones. These bones will never grow back once they are gone. That’s permanent damage and your hearing won’t return on its own. In certain cases, surgeons can put in prosthetic bones to repair hearing. The eardrum may have scar tissue after it repairs itself, which can affect its ability to vibrate. Surgery can fix that, as well. Can This Permanent Hearing Loss be Prevented? It’s important to see a doctor if you think you may have an ear infection. The sooner you receive treatment, the better. If you have chronic ear infections, don’t ignore them. The more serious the infections you have, the more harm they will cause. Finally, take the appropriate steps to prevent colds, allergies, and sinus infections because that is how ear infections normally start. If you are a smoker, now is the time to quit, too, because smoking increases your risk of having chronic respiratory troubles. If you’ve had an ear infection and are still having difficulties hearing, see your doctor. It could be possible that you have some damage, but that is not the only thing that causes conductive hearing loss. Hearing aids can be very helpful if you have permanent hearing loss. 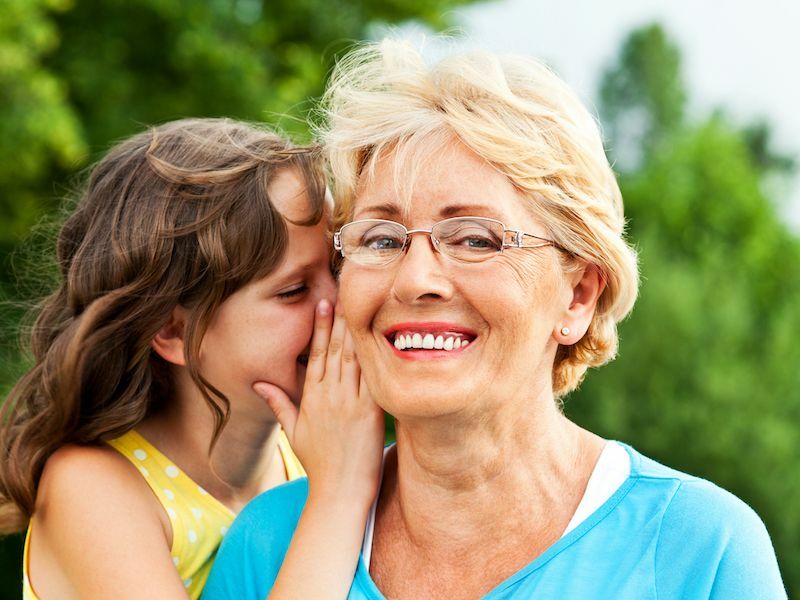 To get more info about hearing aids, schedule an appointment with a hearing specialist.